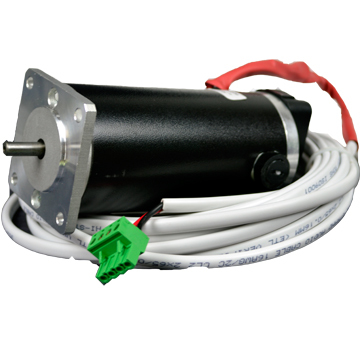 Wired 34 frame 72VDC 850 oz-in peak torque servo. Replacement Motor for a 34 frame large Servo Plazpak or RouterPak system. Motor comes prewired with 20 ft cable . NO encoder. Encoder can be moved from old motor. 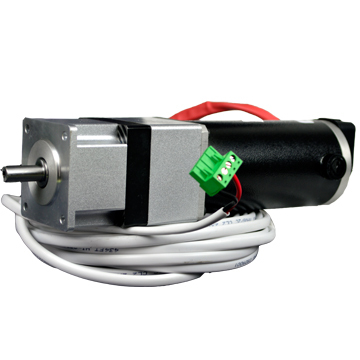 Encoder can be added as an Option and is mounted and tested with the motor. NOTE : Encoder does NOT come with the Differential Driver (“Pigtail” ) or the Cat5 connection cable. Order those separately if needed.